Happy Friday everyone! Good news and bad news. This post is very image heavy with lots of store try on pics. I will try and do a mini review for each item to keep this as short and sweet as possible. The store I went to today did not have any of the new items uploaded on Tuesday except for the Love Crew Fade short sleeve tee. 😑 I was pretty disappointed about that. Looks like I'll have to put in an order. First up, we have the Love Crew Fade tee in washed french clay. I tried on both the size 2 and the 4 to see. The size 2 fit every where except for the shoulders. It was indeed a bit too tight as Andrea commented in my previous post. The size 4 was definitely better fitting in the shoulders but was too long and too big everywhere else. This tee is also very thin and clings in weird places as you can see from the top photo and my very confused "what is going on here" face. 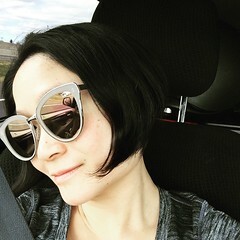 The color is a nice light to medium gray which I did like. However this was a hard pass for me. Also not a fan of the curved hem. Next up we have a pair of Align Crops in the 21 inch length in Arabesque Antoinette smoky quartz print. I'm wearing my usual size 4. Definitely true to size and the inside lining is a nice lavender color. I was wearing purple underwear so I couldn't really tell if these were opaque in the squat test. I like to think they are. The print is just okay for me. I think there's a lot going on but they're definitely fun and very spring like. The hem as usual is too baggy around my calves. If I ever do buy another pair of Align Crops I'll definitely have to hem them around three inches. Also this pair because of the print wasn't as buttery soft as the non printed ones. I'm laughing in these photos because there was a customer outside talking about how she just ate a gigantic lunch and she would normally fit into a size 6 but it wasn't happening today. 😂😂 I did enjoy this hoodie and it's a nice alternative to heathered bark berry but it's definitely lighter and more pink. It was also one of the softer Scuba Hoodies. Next we have the Essential Tank in tiger space dye in dark slate. Normally I'm a huge fan of the Essential Tank, I have about 4 of them. I'm wearing my normal size 2 in this tank. 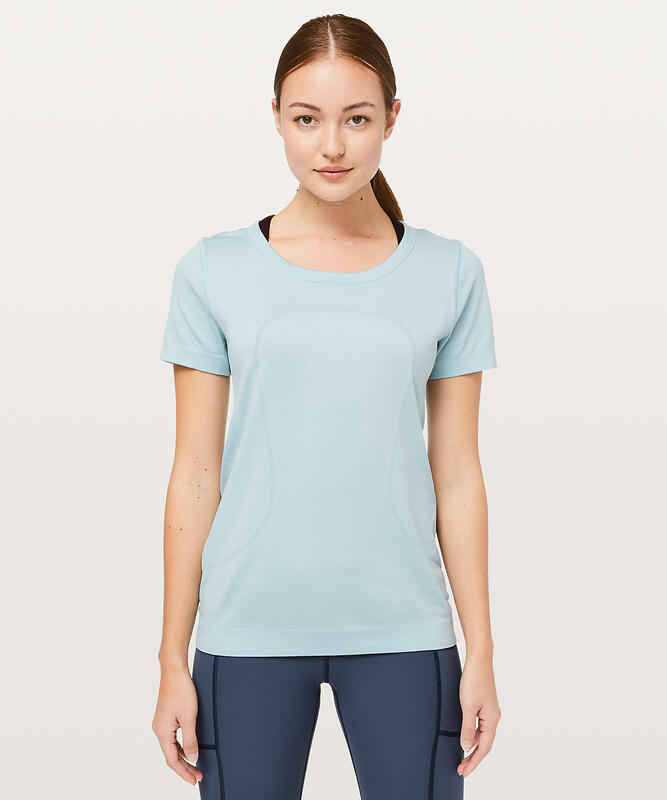 This is one of the rare Lululemon tops where I size down. For some reason this tank just looks super long and baggy on me today. Not sure if it is because of the stripes, or maybe because I'm wearing shorts but I didn't find this one to be as flattering as my other ones. I even threw on my pants to see if that would help. It did a little bit but not much. Maybe it is just an off one? I passed. Desperate to find something that I really liked, I even tried on a pair of Run Times Short in Azurite mint. 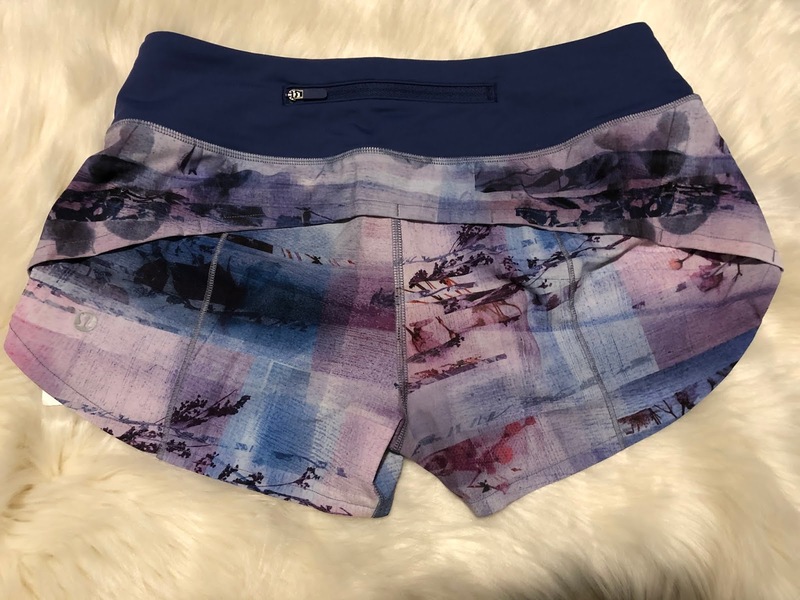 When I saw these I thought they looked a lot like Speed Shorts but with a longer 4 inch inseam. The longer inseam really makes a difference on short legs. I found these to be true to size. Definitely a very similar fit to Speed Up Shorts. By the way I also ate a big lunch too!!! The Azurite Mint print is actually very pretty. These photos really do not do it justice. It's too yellow but the blue green is actually very minty. Reminds me of the beach and summer waves. I just can't wait for warmer weather. I did not find the back to be flattering though. I think it's because of the longer inseam. That's pretty much it for me! The store did have the special edition Hotty Hot Short. To be quite honest they reminded me of a pair of boxer shorts! 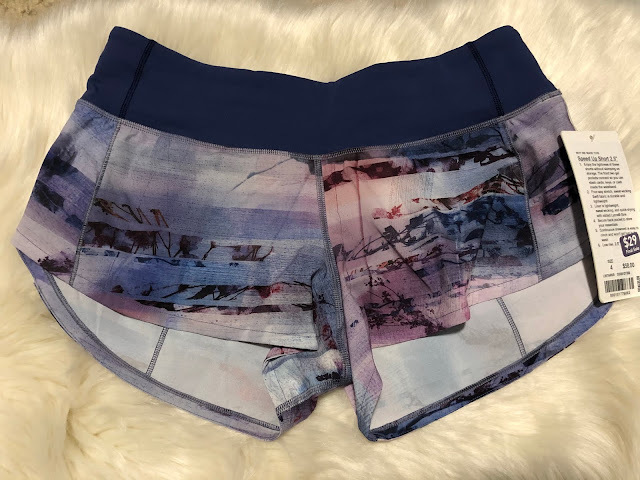 I did pick up another pair of these Speed Up Shorts in sunrise silhouette. They are currently on WMTM for $29!! I'm not that crazy that I got them because I wanted a back up pair. I am going to gift these to my sister when I see her in May. I couldn't leave these behind since the print placement is actually pretty nice and and I swear these look 1000% times better than the stock photos they use online. I'm not surprised they're on WMTM for $29. I wouldn't have bought them either going by the stock photos. Look at this gorgeous print. I did pick up a pair of training gloves. 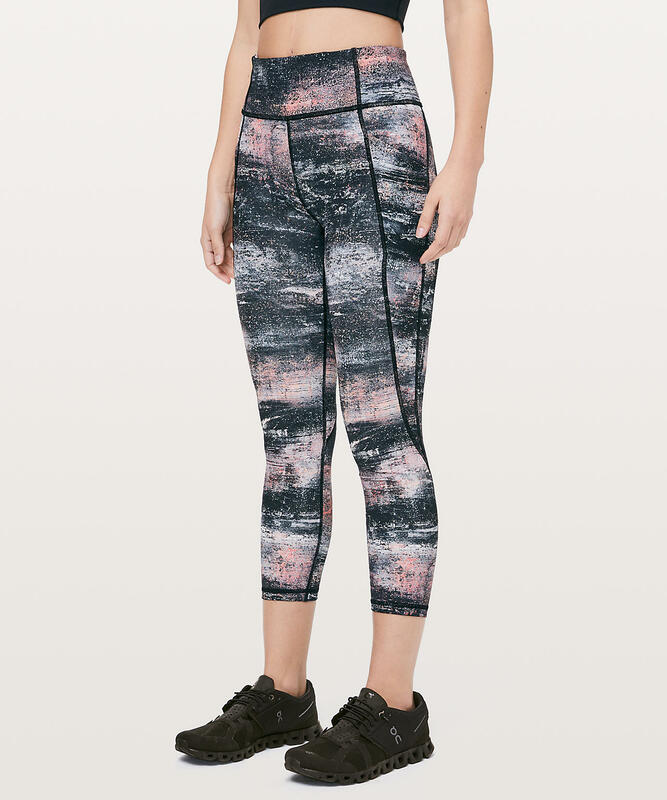 These will be my first pair from Lululemon. I'm pretty excited to try these out. When I do I'll write a more detailed review. They're pricy- $38. But they fit! Oh and here are a few of items that are note worthy on WMTM. Okay, really that's it for me! Whew! Thanks for the review! 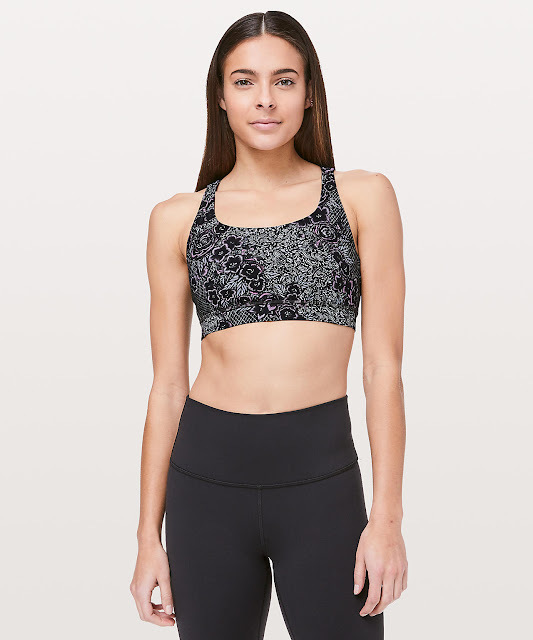 I wonder if Lululemon has changed the cutting of the Love Crew cos I remember them being shorter with last summer’s version. I also checked out the Essential Tank but like you said, it was very long. Their sizing is pretty inconsistent from season to season! Saw the crinkle Vinyasa Scarf in rose color yesterday and it was just so-so. Definitely not as buttery as I wish it would be. 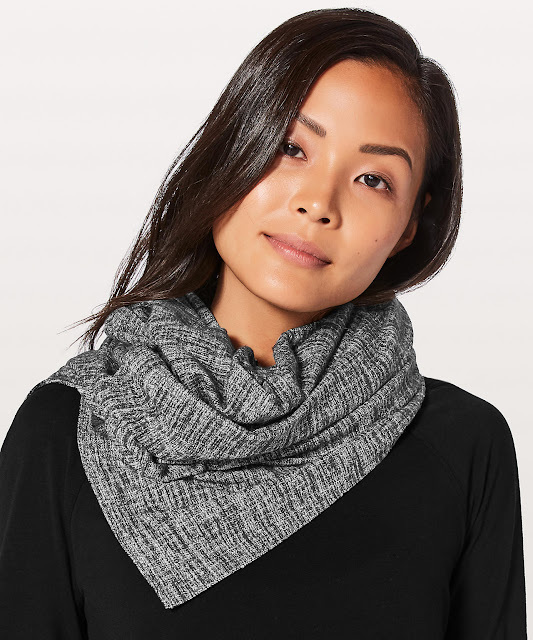 You know I’m a scarf person and wouldn’t hesitate talking you into getting the Vinyasa Scarf on sale. :) I have the same pattern in Ivivva’s smaller version and love it. Thanks again for the review and have a nice weekend! I am wondering the same thing after trying on the Scuba Hoodie in the size 4. They're so inconsistent with sizes lately. Sometimes it varies by color! 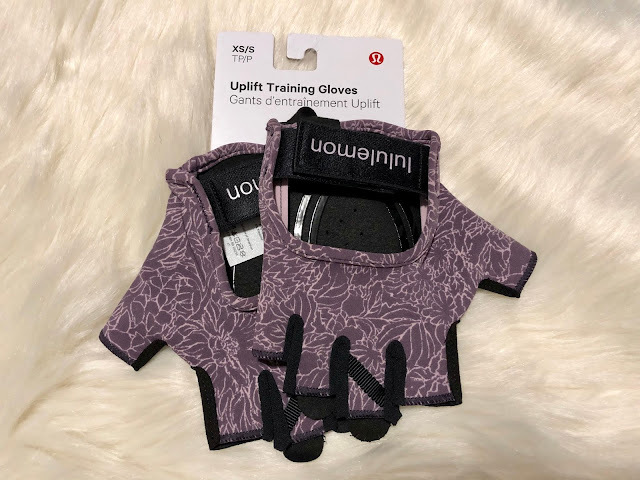 Is the crinkly Vinyasa a pass even if it came out in a gray? 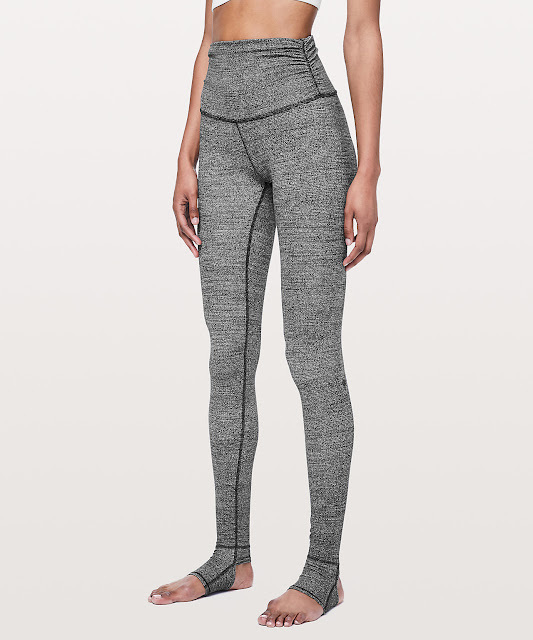 BTW I bought the Vinyasa on sale after I read your comment! Thank you! =D Have a great weekend as well! I probably won’t buy the crinkle Vinyasa even if it comes out in gray, unless it’s a gorgeous gray lol! Sad that the mink berry isn't the same shade as the original release. I find the Love Crew too long and loose in the body and only ever liked the look of it tucked into high waisted pants or maybe a skirt. I think there's just so much fabric on the Love Crew that if I tried tucking it in, it would be too much!